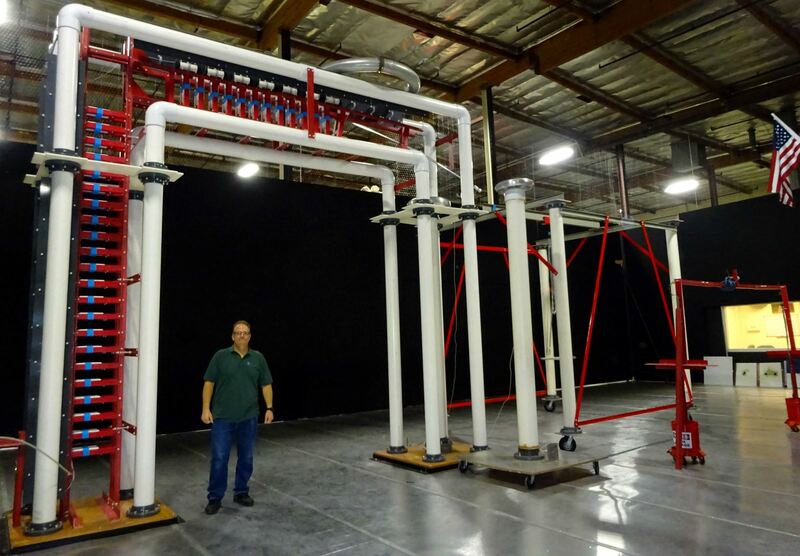 DNB Engineering Inc., a full service test lab and world leader and recognized expert in certification testing, has built and opened a brand new, state-of-the-art Direct Effects Lightning Test Facility in Anaheim, California. The new 8,000 square foot facility features all custom-built equipment designed and constructed by DNB Engineering. The unprecedented lab and equipment are able to generate all of the waveforms necessary to meet the stringent test standards for lightning threats to both aircraft and earth-bound equipment. The indoor Lightning Test Facility features a large ground plane for high voltage attachment testing that measures 32 feet by 36 feet. The facility also includes a unique darkroom that is used for both photographic and ignitable mixture (flammable gas) test methods. Another notable feature of the facility is the dedicated Customer Viewing Area where DNB Engineering’s clients can safely watch their tests being conducted. DNB Engineering, which started out as an Electromagnetic Compatibility (EMC) test facility, has been family-owned and operated since 1979. They have been the industry’s leading expert in Indirect Effects Lightning Testing for more than 30 years. The company used all of that expertise and developed their Direct Effects Lightning capabilities over a decade ago. With their new indoor Direct Effects Lightning facility in Anaheim, DNB Engineering will be able to accommodate even larger test objects for their customers. 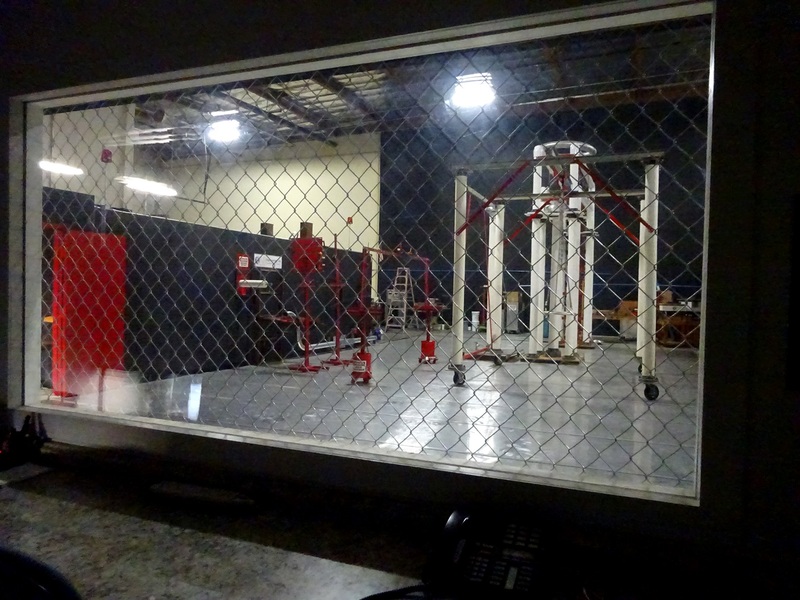 The new Anaheim facility is available and now open for commercial and government testing. To request a tour of the facility, please contact John Pilatos at (714) 870-7781. The Direct Effects Lightning Test Facility is located at 2311 W La Palma Ave, Anaheim, CA. This entry was posted in DNB Updates and tagged aerospace, aviation, direct efffects lightning, electromagnetic compatibility, EMI testing, environmental testing, high voltage testing, HIRF testing, indirect effects lightning, lightning simulation, marx generator, test lab. Bookmark the permalink. What is the address of this new facility? Hi Robert. The address for our new Lightning Facility is: 2311 W La Palma Ave, Anaheim, CA.